I have personally selected the treatments available at The Whole Health Centre to complement and support each other. They are all given by a team of highly qualified and insured therapists whose approach is coherent with the principles of wholistic health and personal development. My team of dedicated and professional therapists shares a common philosophy. Each therapist aims to treat mind and body harmoniously and is committed to a client centered approach. A detox retreat is not only a wonderful way to shape up, improve your vitality, clear fuzzy thinking or get back to healthier habits after over-indulging, it is a unique opportunity to remove yourself from daily routine. Taking a pause from life can ease anxiety and make you more open to new beginnings. The combination of treatments, juices and meditation will make your energy level soar and open your mind to creative ways of resolving problems and unwanted behaviour. Join me and a small group of like-minded people for a chance to (re)connect with your inner wisdom. The Whole Health Centre has a dedicated space for Colonic Irrigation. Treatments can be booked at short notice every day of the week. The Whole Health Centre is the home of the Naturopathic School of Colonic Hydrotherap led by Anne-Lise Miller, an author and renowned teacher on the subject. The Whole Health Centre was created in 1996 by Brian and Anne-Lise Miller. 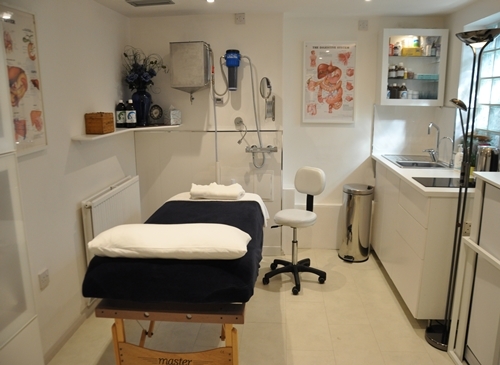 Originally located in North London at near-by England's Lane (number 16), it was one of the first complementary health clinics to specialise in colonic hydrotherapy, detoxification and the naturopathic approach of Dr Sheldon Deal. 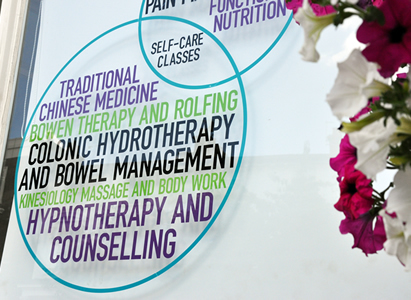 In 1997, The Whole Health Centre also became the home of Anne-Lise's professional training school for Colonic Hydrotherapy and hosted a number of events promoting detoxification and an integrative approach to health. 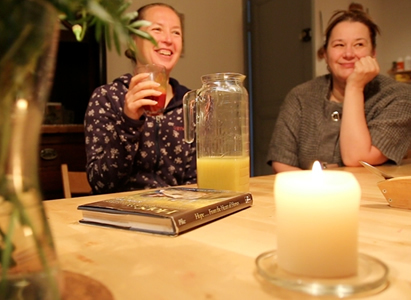 In 1998, the Whole Health Centre relocated to Scotland when Brian and Anne-lise moved to Coveyheugh House and opened a residential health and wellness centre offering juice fasting retreats. For the next 15 years, they continued to teach and promote mindfulness, body/mind connection and detoxification practices to students of colonic hydrotherapy and retreat participants. The Whole Health Centre is now located in the newly refurbished clinic that once was "The Centre for Traditional Chinese Medecine", a well established acupuncture clinic. The aim of the centre is to offer a peaceful haven of health education, inspiration and human connections. The two-floor space is carefuly designed by Anne-Lise: events, classes and gatherings take place upstairs, while three luxurious treatment rooms await you downstairs, a space dedicated to individual therapies. Our waiting area is comfortably set up for you to hang out, read, drink tea and meditate at your leisure. "Part of the healing process is sharing with other people who care - Jerry Cantrell"